Grilled cheese is kind of my thing, or rather, kind of used to be my thing. On my previous blog, BS’ in the Kitchen, I was somewhat renowned for grilled cheese. In fact, I dedicated an entire month to them, posting a new one each day. Maybe I overdosed, or maybe my tastes have grown, but for whatever reason, I don’t make many these days. Looking at these pictures, I’m thinking that may need to change! 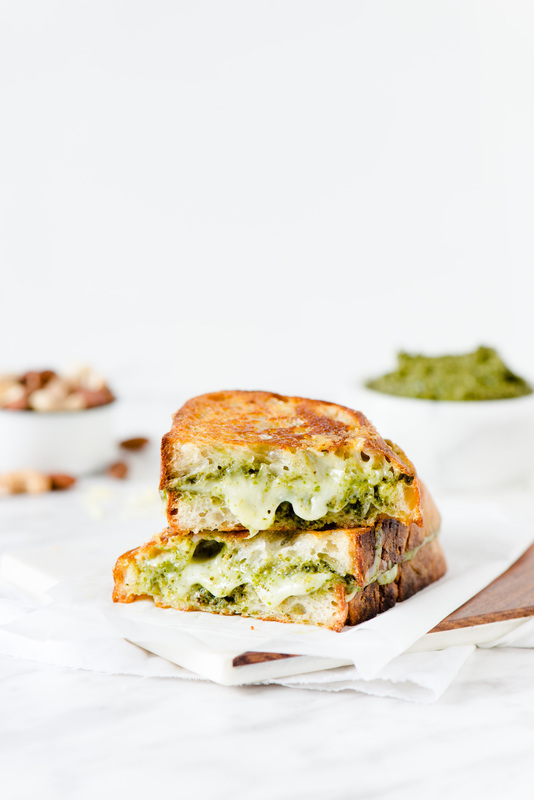 Gooey Gouda, nutty basil pesto, sandwiched between two pieces of homemade sourdough bread. It’s the stuff dreams are made of. At least my dreams… I think it’s time to add a few more “grown-up” grilled cheese sandwiches to the blog. 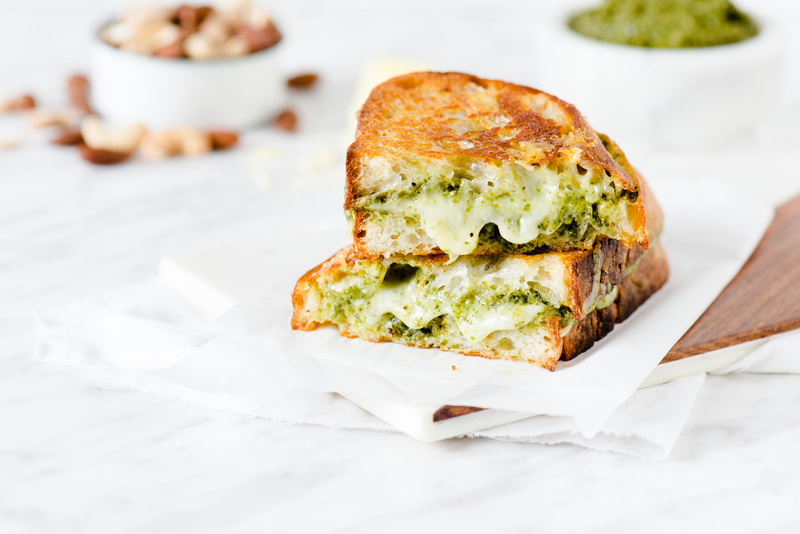 Gooey Gouda, nutty basil pesto, sandwiched between two fresh pieces of fresh sourdough bread. 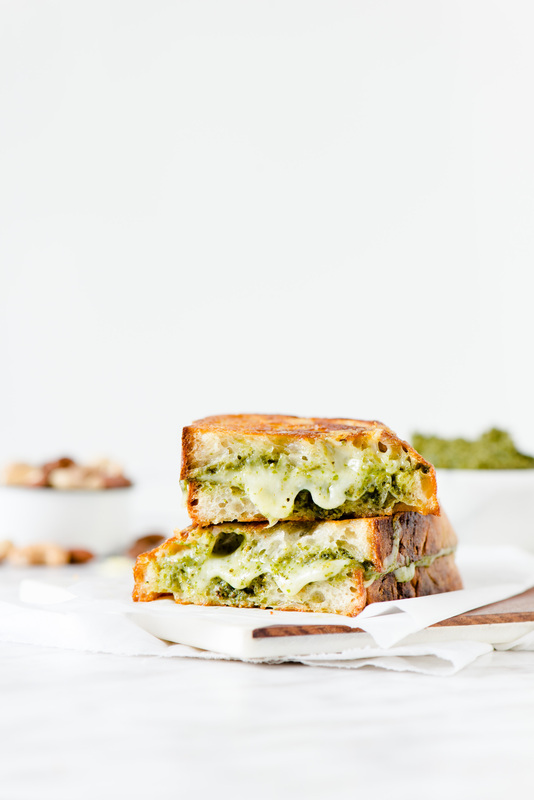 Spread a generous amount of pesto on each slide of bread. Place enough cheese to cover bread (more the merrier!). Butter the top and bottom. Place in a cold pan, turn pan to medium heat, cooking until golden brown on each side. There’s not much to it, but when you’re using delicious ingredients, you really don’t need much!